The first trailer for “Ocean’s 8,” the female-led spinoff of “Ocean’s Eleven,” has finally arrived. Sandra Bullock, who plays Debbie Ocean, starts things off appearing in front a parole board promising to lead “a simple life” without crime and its trappings. But ultimately, that’s not what happens. Instead, she teams up with the likes of Rihanna, Mindy Kaling, Awkwafina, Sarah Paulsen and Helena Bonham Carter to mount a $150 million heist at New York City’s Met Gala. The film is slated to hit theaters on June 8, 2018. 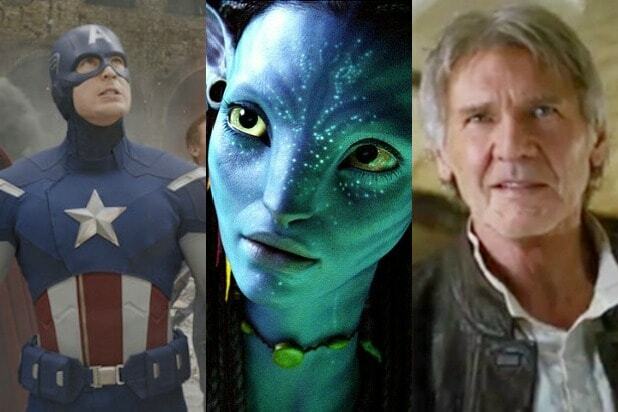 It is directed by Gary Ross, written by Ross and Olivia Milch, and produced by George Clooney and Steven Soderbergh. 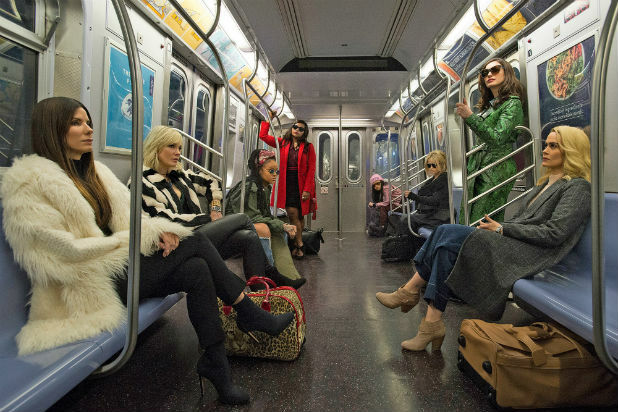 The "Ocean's 8" cast is ready to roll in the first official image from the upcoming heist film released by Warner Bros. and Village Roadshow 0n Monday. Along with the photo (below), we also got the film's official logline, which reads: "The tide will turn as Debbie Ocean (Sandra Bullock) attempts to pull off the heist of the century at New York City's star-studded annual Met Gala. Her first stop is to assemble the perfect crew: Lou (Cate Blanchett); Nine Ball (Rihanna); Amita (Mindy Kaling); Constance (Awkwafina); Rose (Helena Bonham Carter); Daphne Kluger (Anne Hathaway); and Tammy (Sarah Paulson)." The image gives us a look at the entire main cast, who look more than ready to attend the Met Gala, while no doubt hiding some high-tech heist gear under their gowns. The film, a spinoff of the "Ocean's 11" franchise, will be directed by Gary Ross.Â Ross has described the film as a continuation of director Steven Soderbergh's "Ocean's 11" trilogy, which starred George Clooney, Brad Pitt, Don Cheadle, Matt Damon and Julia Roberts. The three previous "Ocean's" movies combined to make $426 million domestically and $1.1 billion worldwide. 2001's "Ocean's 11" was a remake of a 1960 film of the same name starring Rat Packers Frank Sinatra, Dean Martin, Sammy Davis Jr., Joey Bishop and Peter Lawford. "Ocean's 8" will hit theaters on June 8, 2018. See the first look below.